With a vast amount of experience within the poly product industry, Enduramaxx is one of the leading manufacturers of polythene supplies within the UK. 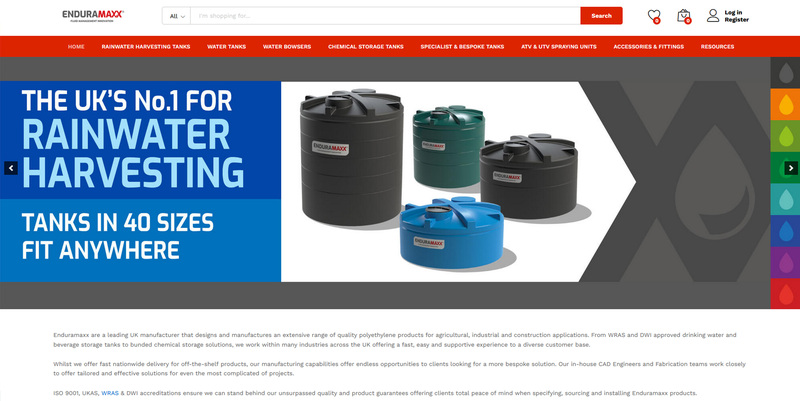 Our company specialises in rotational moulding as well as UV stabilisation technologies, and we design all of our tanks using high-quality materials that ensure stability and longevity. Here at Enduramaxx, we pride ourselves on our ability to provide clients with high grade, long lasting products as well as outstanding service that suits our customer’s requirements. > EnduraTank : Provides a wide range of high quality polythene products which are most often used for agricultural, industrial and constructional purposes. > EnduraChem : Manufacture a vast array of custom-built storage solutions for both chemicals and liquids. > EnduraSpray : Designs various spray units, de-icers, dust suppression and plant watering bowsers. > EnduraClean : Supplies an extended range of high pressure cleaning systems for both domestic and commercial use. Enduramaxx is also a recognised provider registered on the ECA Qualified Water Technology and Drinking Water Inspectorate Lists. We as a company offer a fast nationwide delivery as well as an extensive amount of opportunities each tailored to our customer’s wants and needs. The Enduramaxx team of skilled engineers and fabrication workers will provide outstanding solutions no matter the extent of the project. For consistent quality tanks then you need to look no further than Enduramaxx. As a distributor we have no known product complaints from our clients and are pleased to be associated with a local manufacturer.